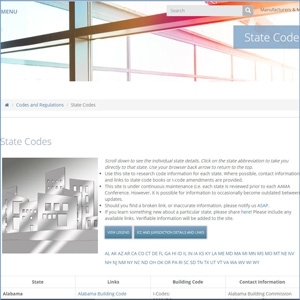 The Committees section of the AAMA website provides many helpful tools for AAMA members. In this area, you can join a committee, confirm conference call information, view minutes and more. Be sure you are logged in to the website in order to take full advantage of all the content available exclusively to AAMA members. 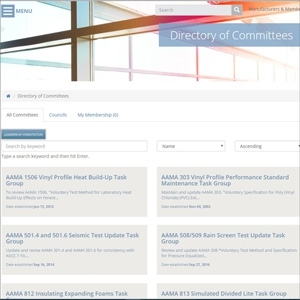 When you go to the Directory of Committees, you will see a listing of “All Committees,” plus other tabs including AAMA “Councils” and “My Membership.” Let’s go through what is available to you as an AAMA member. While on the “All Committees” tab, search for the group you want by keyword or group name. You can also sort the entire listing by name or date (in ascending or descending order) to help you locate a group if you are not sure of the exact name. If you know a group was formed at the most recent national conference (and you missed signing the yellow sheet), sorting by date will help you easily view those with the latest start date. After you locate the group you are looking for, click on the group name to access the “Members and Meetings” tabs for that group. 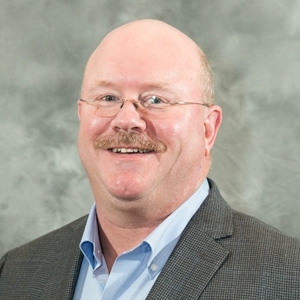 This is where you can connect with the group’s members or view minutes and upcoming GoToMeeting conference call information. If you are not currently an active member of a group, but would like to be, you can request to join the committee or task group right from this area as well. Click the blue “Join Committee” button at the top of the group’s page. After you submit your request, an email will be sent to the membership department for approval within two business days. If you are a corresponding member of a group and would like to become a voting member for that group, you can request that here as well. You can also remove yourself from a group or from voting status if you want to stay updated, but no longer wish to vote on ballots for that group. The Committees section of the AAMA website is a valuable resource for all members and makes it very convenient to stay involved in the topics that interest you and your business. Visit aamanet.org/committees to access these beneficial features.